An outstanding master, from the legendary “sixties”, Viktor Nikolaevich Chulovich (July 5, 1922 – 1994) possessed a mighty, courageous and temperamental brush. It’s not even the power of talent, not the integrity and completeness of creativity, but the ability to convey the charm of the past era. Viktor Nikolaevich Chulovich studied at the Moscow Art School of Memory of 1905 (workshop of P. Petrovichev). However, like most of his contemporaries, he had to defend his Motherland during the WWII. So, in 1941 he fought as a machine gunner on the Kalinin and Stalingrad fronts. Demobilized because of a serious wound (August 1942), Chulovich continued his education. In particular, at the painting department of the All-Union State Institute of Cinematography in Moscow. His teachers were F.S. Bogorodsky and KM. Morozov. After graduation (1951) he worked as an artist at the Moscow Film Studio. Chulovich – veteran of Great Patriotic war, awarded the Order of the Patriotic War I degree, medals “For courage”, “For the defense of Stalingrad”, and “For victory over Germany”. 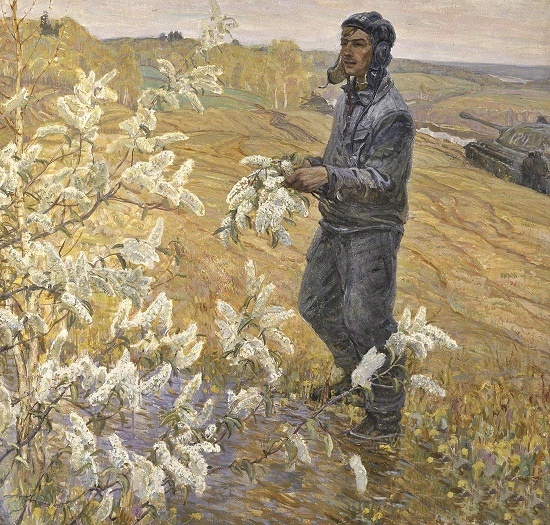 Born October 5, 1923 in Zaraysk, Moscow province, Victor Dmitrievsky was a prominent Soviet painter. Member of the Studio of Military Artists of Mitrofan Grekov (1944), he was a veteran of Great Patriotic war. He began studying art in the art studio (1937-1939). Soon after, in 1939 entered the Moscow Secondary Art School. During war time (1941-1942), with a group of teachers and students was in the evacuation in the village of Voskresensk of Bashkir ASSR. The same as many of his contemporaries, Victor entered the Soviet army (1942) and ended it as a platoon commander of the Moscow Military Engineering School. Besides, as part of the creative group of the Studio of Military Artists of Grekov, Dmitrievsky was on the Belarusian fronts. Victor Dmitrievsky was also a participant in the battles for the liberation of Czechoslovakia (1945). Veteran of Great Patriotic war, he received several awards. In particular, the Order of “Red Star”, and medals “For Military Merit”. Noteworthy, in 1951, without a break from work at the Studio of Grekov, he graduated from the Moscow State Art Institute of V.I. Surikov. Born October 6, 1923 in the village of Avdotino of Ryazan province, Vladimir Semenovich Zakharkin – a famous Soviet painter. In 1944-50 Zakharkin studied at the Moscow Art Institute of V.I. Surikov. His teachers were famous Soviet masters of painting, in particular, AA. Osmyorkin, H. Maximov, Yu.P. Kugach, and P.I. Kotov. After graduation, in 1950-1953 he taught at the Secondary Art School in Moscow. 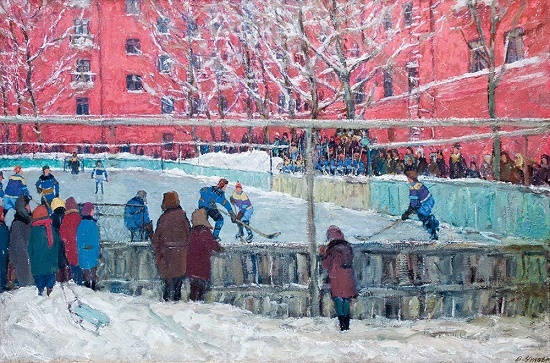 Vladimir Semenovich Zakharkin became a regular participant of exhibitions of Soviet art since 1950, and the first one in Moscow. In addition, he was a participant in exhibitions and sales of works by Soviet artists in England, Poland, Austria, Germany, Holland, and France. A talented artist, Zakharkin became a member of the USSR Union of Artists after his first exhibition (1951). Meanwhile, in his many-sided creativity, we can trace the adherence to the thematic picture – a genre that presupposes a particularly thorough semantic and artistic elaboration. All this fully found its expression in the genre paintings of the artist. In them he gave the images of his contemporaries with great love and skill, touching with their simplicity and sincerity. His works are in collections of art museums of Barnaul, Cheboksary, Taganrog, Rostov-on-Don, Yaroslavl, Krasnodar, as well as in many private collections in Russia and abroad. The peak of popularity of talented artist Georgy (George) Popov in the Soviet Union fell on the 1970 – 1980s. In particular, his works became participants of numerous personal and group exhibitions in museums of the USSR and abroad. 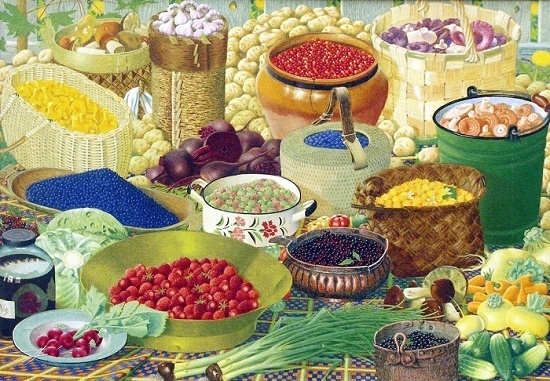 For example, his famous still-life “Generous Earth” (Vologda Regional Picture Gallery), which appeared in a variety of publications, became a textbook. In fact, the painting became a kind of symbol of the entire Vologda region. Nowadays, reproductions of this picture are in the school textbooks of the series “Origins”. Interestingly, Georgy Popov is a self-taught artist, as he did not finish any art school. Born 29 August 1935 in the city of Ordzhonikidze, Chechen-Ingush autonomous region, Oleg Sergeevich Gadalov belonged to the Gadalov family, one of the most famous merchant families in the Yenisei province of Siberia. Aged 14 the boy entered the Central Art School at the Academy of Arts of the USSR. After graduation from the art school, in 1956, he entered the painting faculty of the Institute of Painting, Sculpture and Architecture. I.E. Repin of the USSR Art Academy. There he studied in the workshop of a prominent Soviet artist Yuri Neprintsev (1956-1963). Created by Oleg Gadalov diploma painting “Geologists” received an excellent evaluation. In particular, awarded the Diploma of the first degree at the All-Russian exhibition of diploma papers in Moscow. Member of the USSR Union of Artists (since the 1960s), he was a permanent participant of numerous exhibitions of Soviet art. In the period of 1973-1977 he worked in the studio of the seamen of the Navy at the Central Naval Museum in Leningrad. The artist visited the Barents Sea, the city of Severomorsk, and even participated in a hike to Italy on the training ship “Smolny.” The result of the missions were sketches, created on the basis of direct observations. 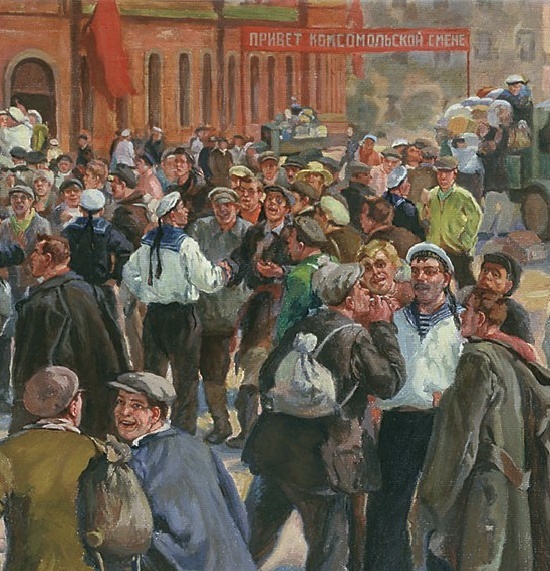 Soviet artist Boris Valentinovich Shcherbakov – representative of socialist realism. People’s Artist of the USSR (1986), he was the winner of the Stalin Prize of the third degree (1952). 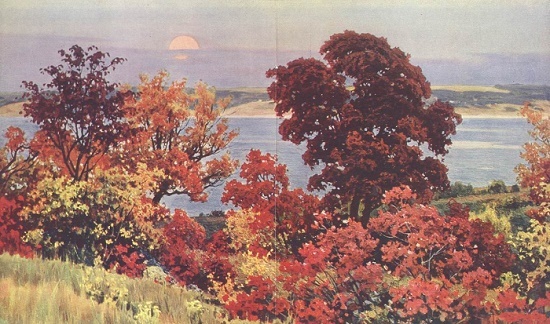 Known mainly as a landscape painter, Shcherbakov worked in the genre of historical painting, portrait, and still life. Participated in exhibitions since 1939. He received the last Stalin Prize together with a group of artists for the painting “Meeting of the Presidium of the USSR Academy of Sciences.” Also, he was the Corresponding Member of the Academy of Arts of the USSR (1973). Born March 25 (April 7) in 1916 in Petrograd, Boris Valentinovich Shcherbakov grew up in the family of the artist VS Shcherbakov, a pupil of Ilya Repin. In 1933 he entered the All-Russian Academy of Arts, from which he successfully graduated in 1939. He studied in the workshops of I. Brodsky, V. Yakovlev, and P. Shukhmin. Born August 22, 1880 in the village of Vvedenskoe, Moscow Province, Ivan Georgievich Drozdov – Russian painter, and artist of decorative and applied art. Drozdov painted portraits, landscapes, and everyday scenes. After 1917 he created paintings on the themes of revolutionary history and Soviet life. Member of the Union of Artists (1918), the Association of Artists (1916, 1922), the Society of Artists of AI Kuindzhi (1917-27, with interruptions), Association of Artists of revolutionary Russia (1923-29, in 1924-26 – chairman of the Leningrad branch). 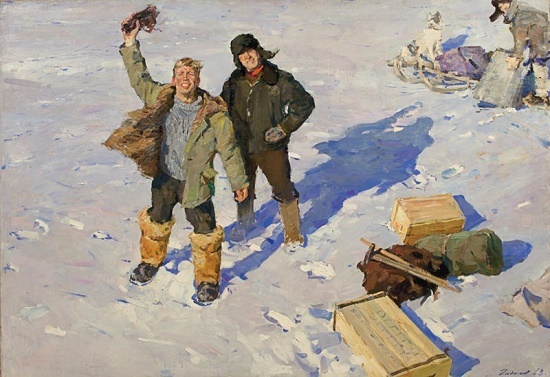 Ivan Georgievich Drozdov became the member of the Union of Artists of the USSR in 1932. He received his original art education in the 1890’s in the icon painting workshop of M. Molov and the Moscow art school of A.P. Bolshakov. Besides, Drozdov studied in Penza art college, workshop of KA Savitsky (1900-1904). In addition, he studied at the Higher Art School of Painting, Sculpture and Architecture, workshops of famous Russian artists VE Makovsky, IE Repin, and VE Savinsky (1904-1910).